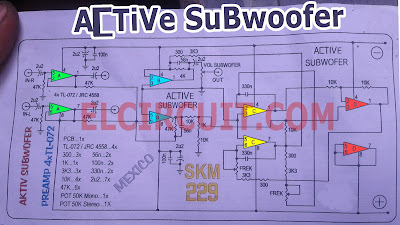 This is circuit of Active Subwoofer Circuit by using x4 IC TL082 or you can using equivalent IC 4558 / JRC4558D / JRC4558 / TL072. 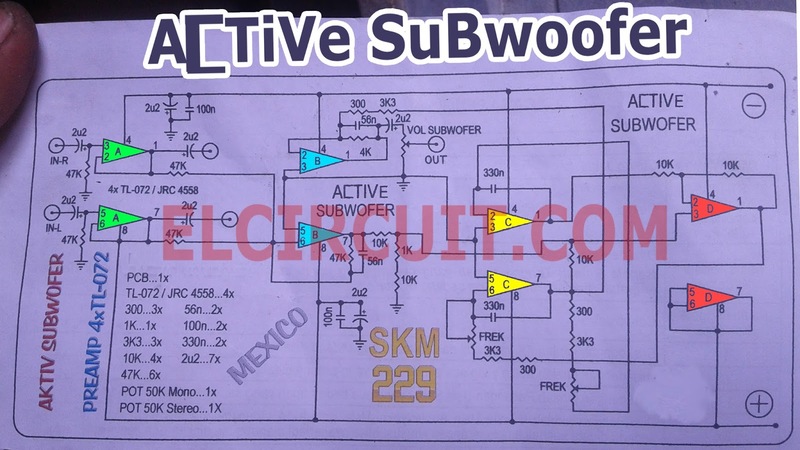 The active subwoofer function to filtering bass tones (Low) and add settings for low tones frequency ranging from 20Hz up to 70Hz on audio signal input output, the settings contained in the pot stereo that you can see in the picture circuit schematic. 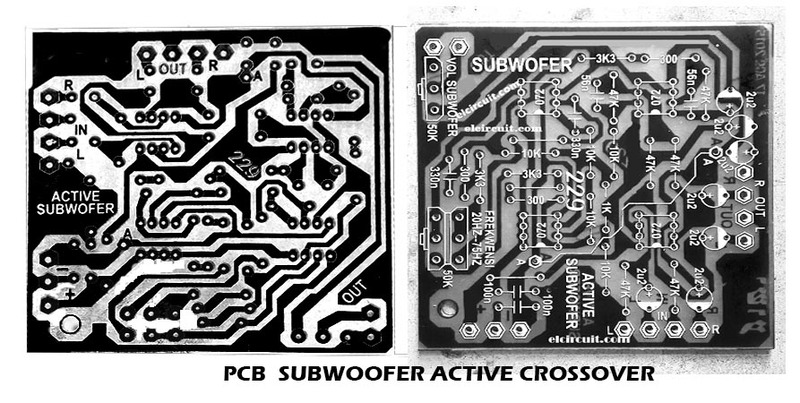 And setting the subwoofer volume contained in the pot mono. This PCB design for you DIY'ers, make it for your audio subwoofer system. This circuit compatible with any power amplifier circuit. 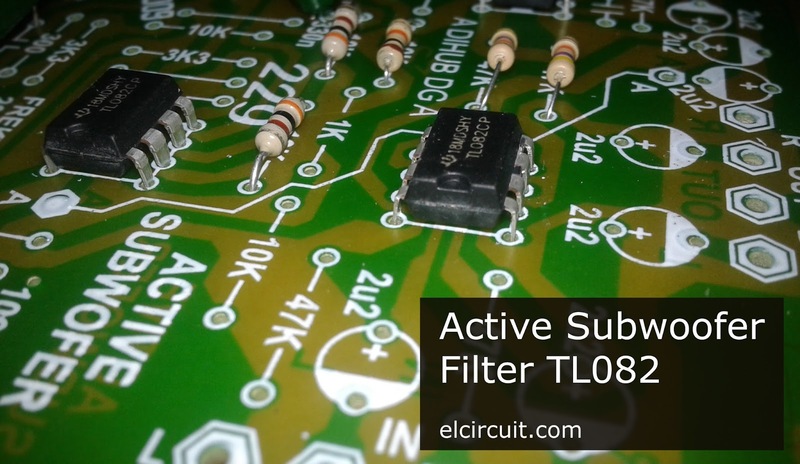 You can apply for home audio, car subwoofer, and other. 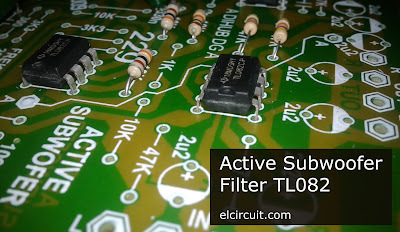 Actually, I also sell and you can buy DIY Kit for this Active Subwoofer Circuit TL082 / TL072 / 4558, but I am limited by shipping to worldwide. 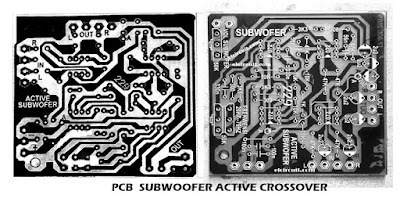 Hello, i will send you pcb, please give your email. is it 12 0 12 vac?? 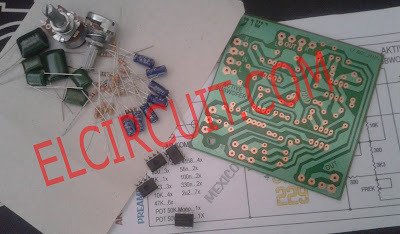 and how about the voltage?? 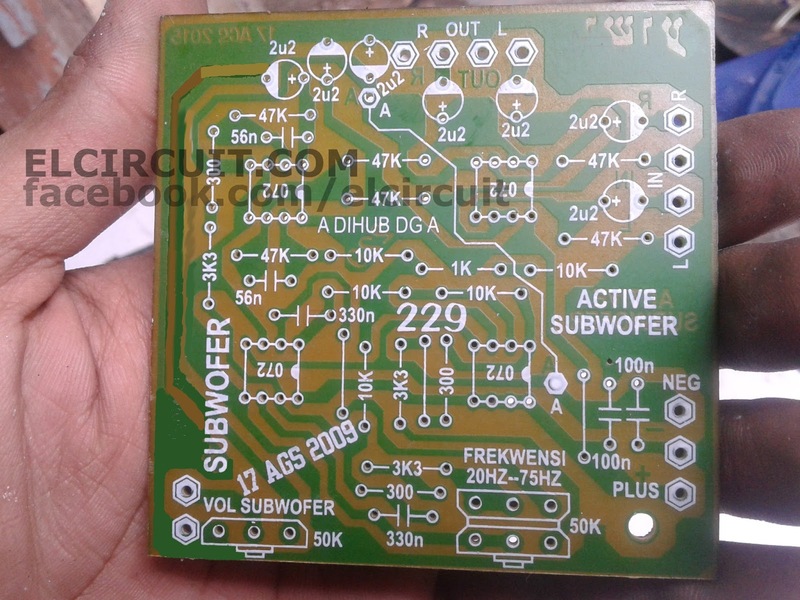 the pcb is atachment on post, supply voltage +12v 0 -12v. Please send us PCB layout for the given below Email. 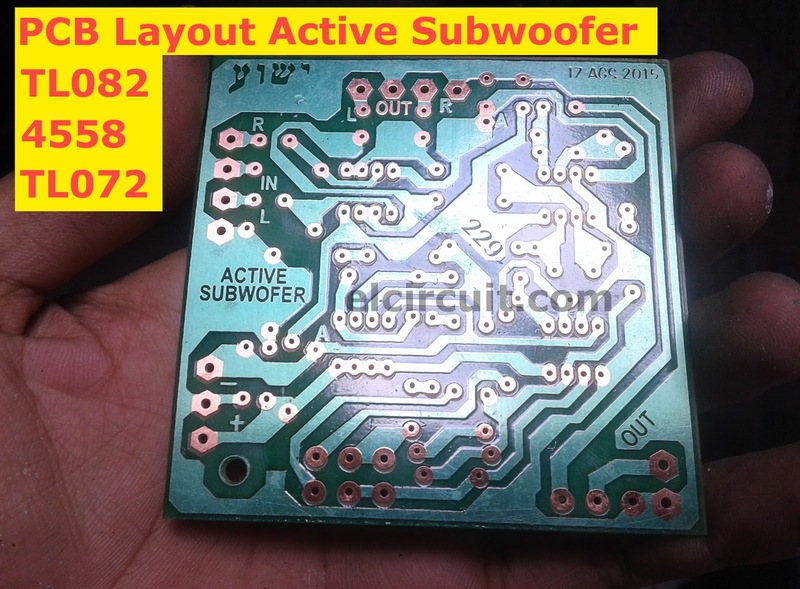 Sound does not come on subwoofer. 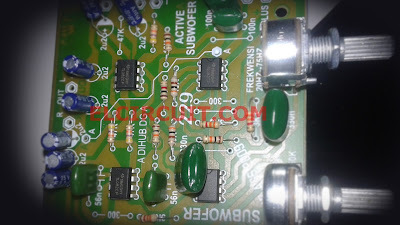 Halo mas mau tanya, dari skema rangkaian diatas kalau mau meningkatkan gain inputnya, resistor mana saja yang mesti diganti, dan berapa nilainya? Saya anggap rangkaian ini gainnya 1, gimana supaya bisa jadi 3 kali lebih besar. Soalnya perangkat player yang saya gunakan ini outputnya terlalu lemah, jadi sampai volume mentok putar kanan, output subwoofernya masih kecil.